Hello from Hollywood Studios! There’s a lot coming to this park between Star Wars: Galaxy Edge, a Lightning McQueen attraction, the first Mickey and Minnie focused attraction in Disney World, and the Skyliner Gondola system! See what we found in addition to all of these changes this week. Look who is back! 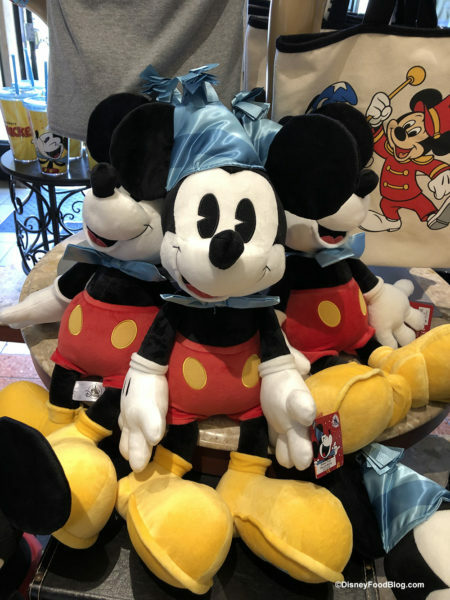 The Celebrate Mickey Birthday Plush! Look who we spotted — Mickey is all decked out in his birthday best for this 90th Birthday Celebration Plush. We saw him over his birthday weekend in November, then he “disappeared”. Now we’ve spotted him back in stock in Hollywood Studios and Disney Springs! Welcome back Mickey! 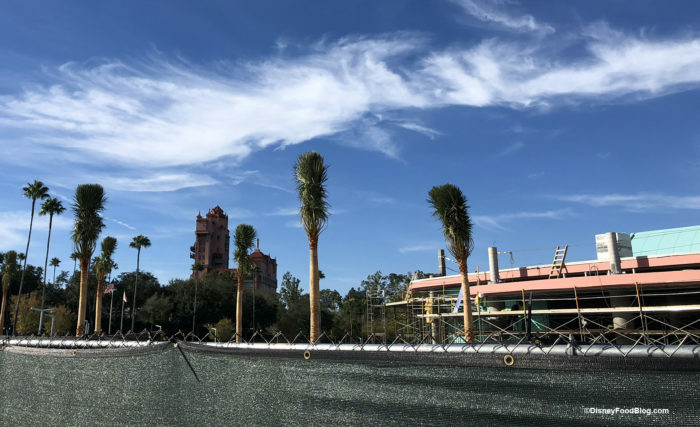 Hollywood Studios Construction Update: Skyliner, Bus Stations, Star Wars: Galaxy’s Edge, and MORE! There’s a lot going on in Hollywood Studios! We collected all of the construction updates in one place. Before you even get in the park there’s a lot of construction to see between the new bus stations and Skyliner station. There’s a Skyliner gondola in the station again! This gondola looks like it is more operational than the gondola we saw in the station last fall. Learn more about this new transportation option coming to Disney World this fall here. So many great merch items are popping up in Disney World! Check out this awesome find, thanks to Instagram friend @emkaybeck. 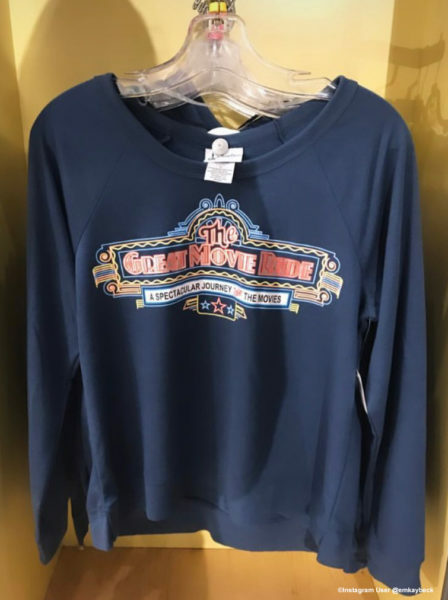 This shirt honors the dearly departed Great Movie Ride. 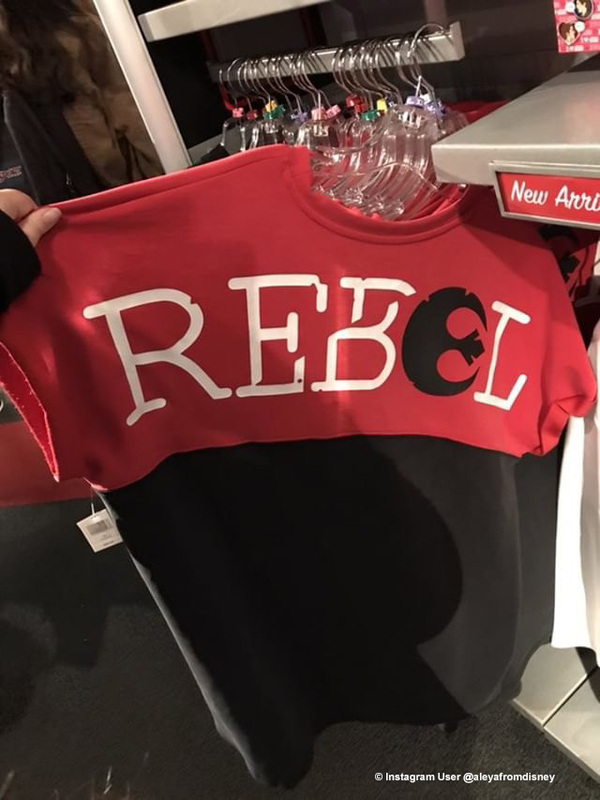 Emily found it at Disney Style in Disney Springs! And there’s lots happening in Hollywood Studios as well! Thanks to our Instagram friend @aleyafromdisney, we’ve got even more news and merchandise to share with you! Declare your allegiance with this new short sleeve spirit jersey found in Tatooine Traders! Or, if you are a Jedi Master, there’s a new sweatshirt for you too! It’s been a busy week over in Hollywood Studios! We’ve rounded up all the updates for you — new eats, new merchandise and LOTS of construction. We don’t expect to see these Christmas decorations up much longer! 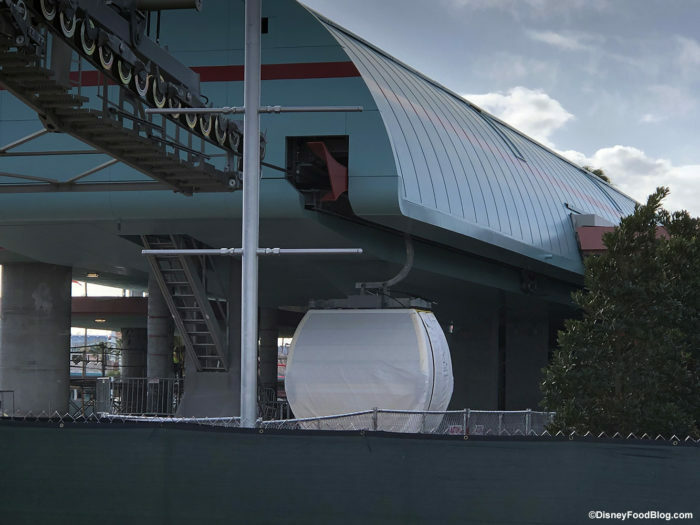 They have been busy in the last few days in the park with lots of new updates, starting with the Skyliner station! Alien Popcorn Buckets, a New Dessert, and More Star Wars Updates: Everything New at Disney’s Hollywood Studios This Week! Hello from Disney’s Hollywood Studios! 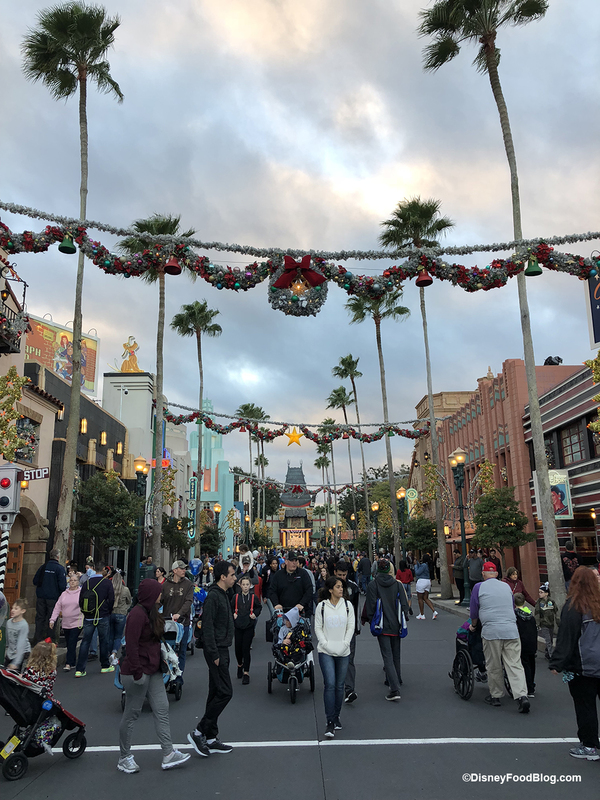 The weather is chilly and the holiday crowds have arrived, but we still have lots of fun updates to share with you this week. We spotted a new arrival of little green men, found a new holiday dessert, and checked out the Skyliner and Star Wars: Galaxy’s Edge construction. Come along and take a look at everything new we found at Hollywood Studios this week! With only three weeks left in 2018 we are getting closer and closer to the opening date of Disney World’s Star Wars: Galaxy’s Edge Land in the fall of 2019. 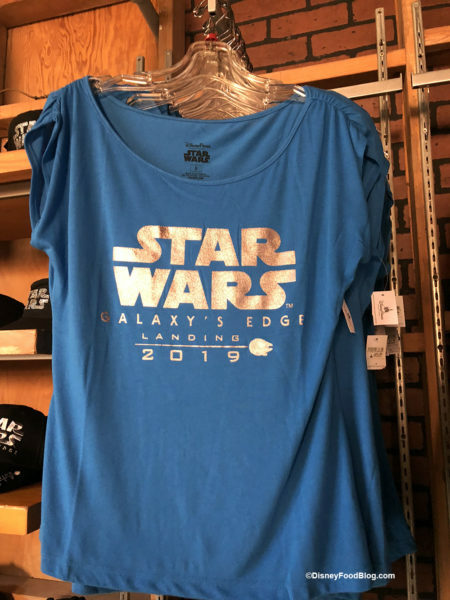 Now, it looks like Disney is getting just as excited as we are because we spotted the previously seen Galaxy’s Edge merchandise in a more permanent location in Hollywood Studios! While we were in the park we also checked on the progress of the construction of the new land as well as renovations at Tatooine Traders. Take a close look at the shirt — can you see the Millennium Falcon on there between “Landing” and “2019”? That’s a cool and subtle nod to the new ride, Millennium Falcon: Smugglers Run. 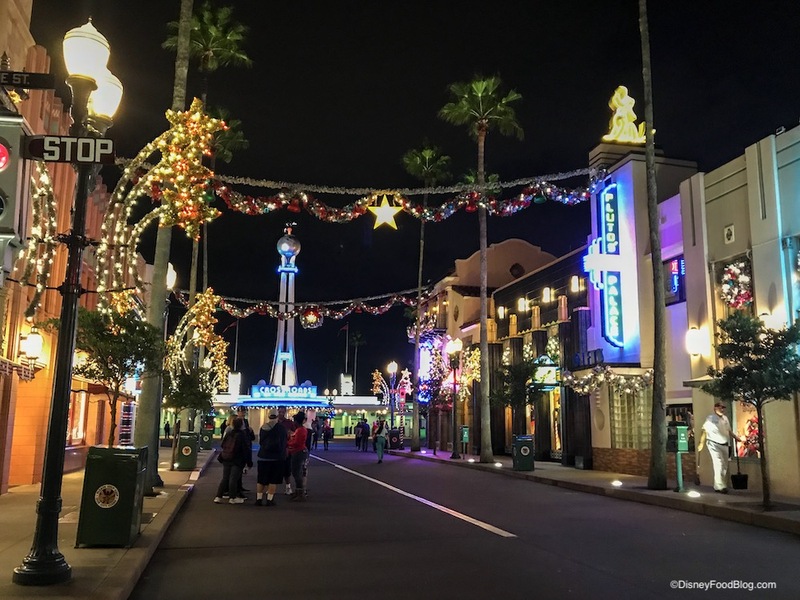 What’s New at Hollywood Studios This Week: Skyliner Progress, Tatooine Traders Construction, and More Holiday Fun! 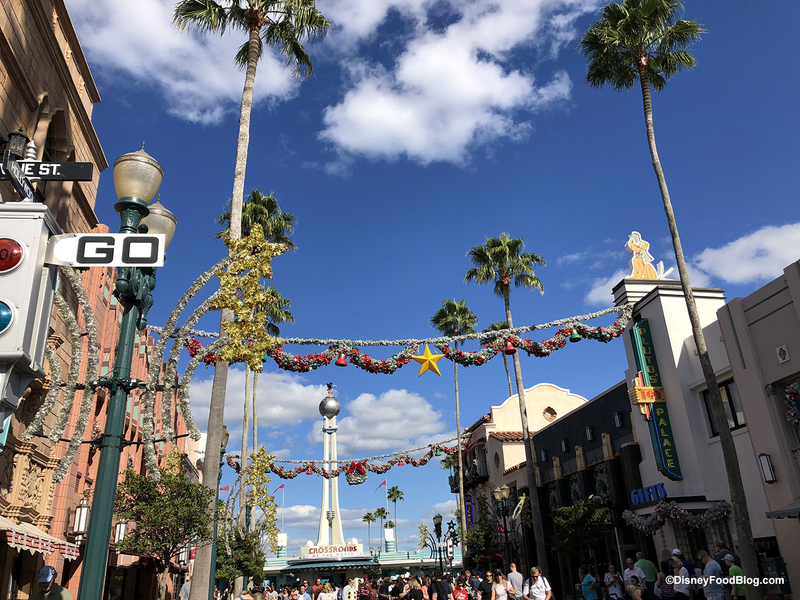 Between decorating for the holidays, construction of the all-new Disney Skyliner, and preparations for the opening of Star Wars: Galaxy’s Edge, we’re always finding something new at Disney’s Hollywood Studios! Want to hear all about what we spotted this week? Let’s go! Construction Update: More Tatooine Traders Work, Progress on the Guardians Ride, and a Favorite Show Is Back! We popped into Epcot and Hollywood Studios today and have some construction updates for you! Finally! Star Wars fans rejoice! The stage show A Galaxy Far, Far Away is back! After monitoring weeks of refurbishment work in the stage area we were glad to see the stage back when we were in Hollywood Studios today. 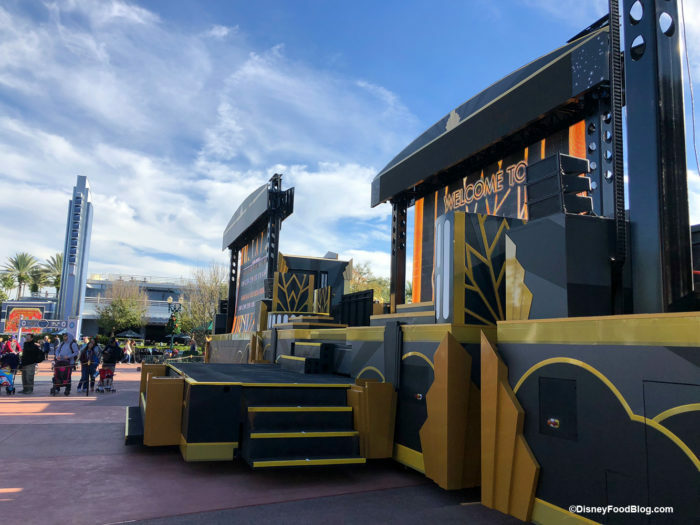 A Galaxy Far, Far Away Stage Show is Back! It’s like welcoming back an old friend to see this mobile stage in its rightful place again.